DNA: desoxyribonucleic acid. it helps to maintain the total functionality of hair follicle, avoiding mistakes in the proteins formation. Pollen: natural product extremely rich in proteins. tones up the metabolism of hair follicles. high nutritive power. reduces seborrhoea production. Vitamins: vitamin complex formed by vitamins b2, b6, b12, h, a , e, and panthotenol, exerts an important revitalizing action over hair follicle. Amino acids: the zinc acts as a natural inhibitor of the enzyme 5-alpha-reductase,this one, is involved in the production of the dht(dehydrotestosterone). similar both in men and in women. Peptides:it promote to the development of the hair and slow down the appearing of the seborrhoea. formed by vitamins, enzymes and sulphuric amino acids, specially cistine. 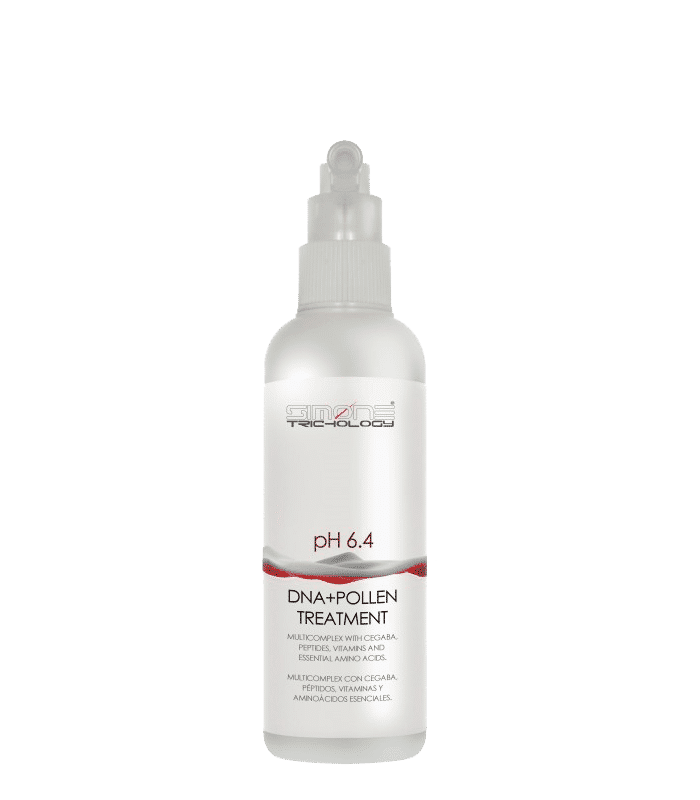 Apply DNA+POLLEN+TRICHOPEPTIDES TREATMENT 150ml twice a day on the scalp and hair clean, massage in a circle using fingers, then extend into the tips of the hair. the treatment can be used on either wet or dry hair.